May's Heroines box features two females this month from The Drowned Earth game system, successfully funded on Kickstarter in just 1 hour! These miniatures are made from premium metal - highly detailed and very smooth. 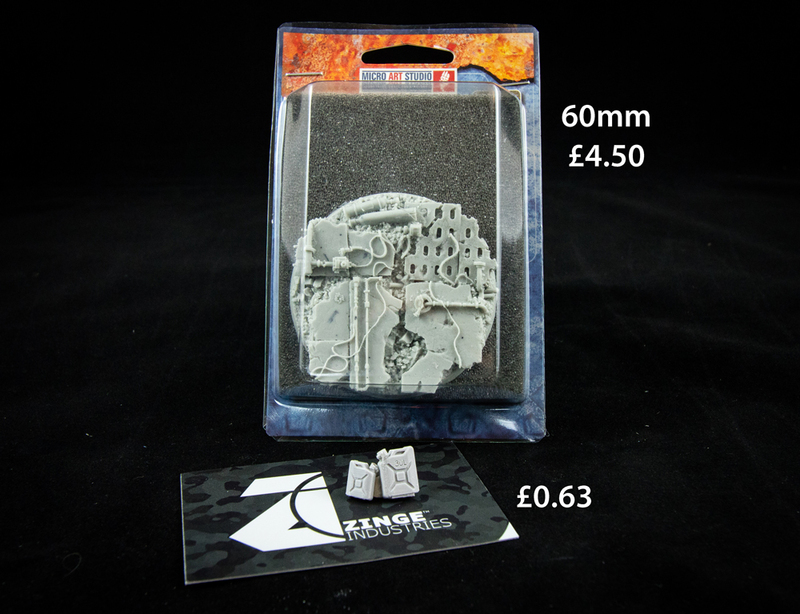 The pieces have a great weight in your hand, and get are as perfect as resin once primed. They really are a cut above the rest when it comes to the metal quality. To accompany these two fearless Bondsman warriors, subscribers also received a beautiful 60mm Concrete Base from Micro Art Studio. 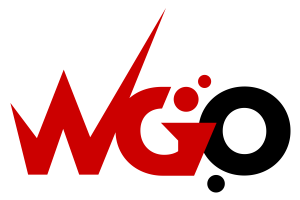 Their bases are outstanding in quality, and the Concrete base proper represents the drowned and derelict world Gersla and Alaya are from. We chose a 60mm base so you can paint up your heroines and display them together. Finally, also in the box were some Jerry Cans from Zinge Industries to add character and customisation options to the base, and a trio of paints from Coat d'Arms for painting metal armour. If you like the sound of May's Heroines Drop, and would like to receive your own creative painting project each month, subscribe to the Heroines Drop here. 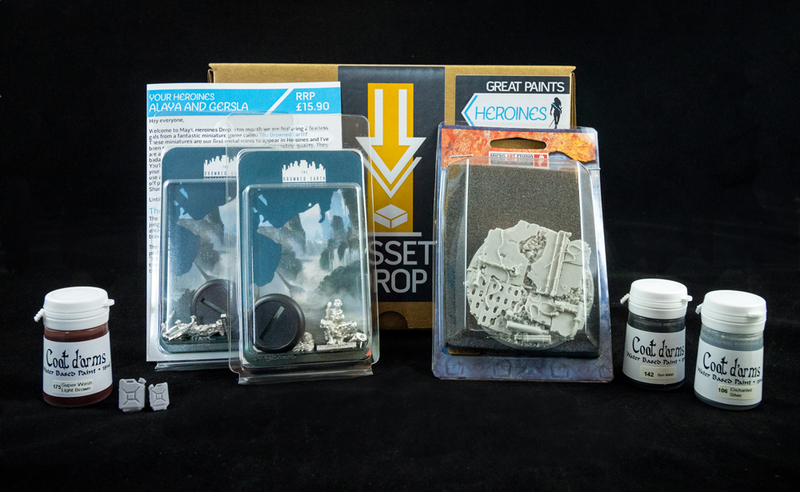 Inside every heroines box, we always include a painting tutorial designed around the mini that month. For May's tutorial we demonstrated how to use the Coat d'Arms trio to paint damaged and aged armour on the two heroines. Gersla and Alaya are part of the Bondsman group in The Drowned Earth Game. Gersla and Alaya are from a game known as The Drowned Earth. They inhabit a tropical world of jungle, lagoon and swamp. These jungles and swamps are dangerous places to travel. Ruined buildings and ancient artefacts are guarded by huge predatory reptiles, and only the bravest adventurers dare the challenges of the wild. There are many different kinds of mercenary in The Drowned Earth, but perhaps the most famed are the bounty hunters who ask no questions: The United League of Bondsmen. Famed as much for slave-breaking and their work in the Kwarra slave industry as for catching escaped criminals, the Bondsmen are hated by many, and feared by most. You'll learn more about these fearless women and how the unfortunate tale of how they came to be Bondsman, if you buy the box as their story is explained in the handout included! Micro Art Studio produce incredible bases and we included a 60mm concrete base in May's heroines drop to display the two fearless heroines on. 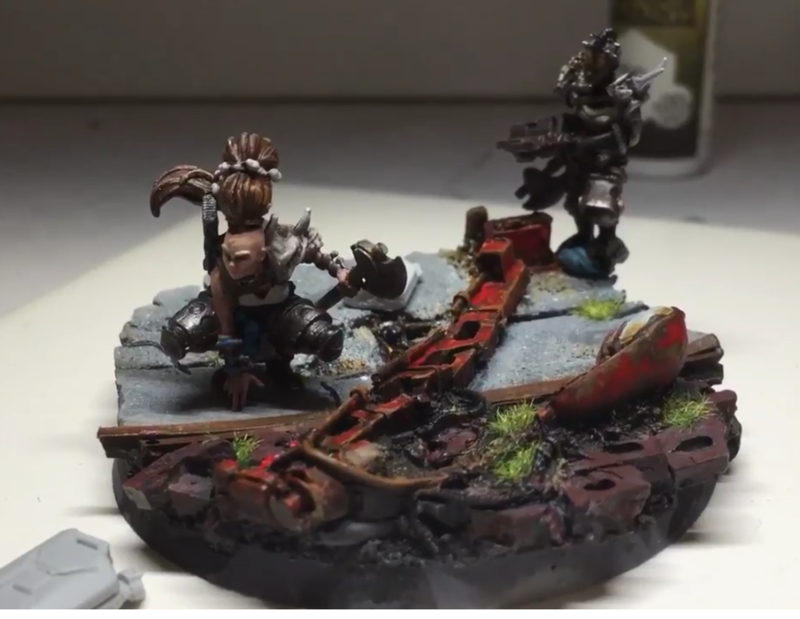 The Drowned Earth is a derelic and destoryed world, and placing the two warriors on the concrete base gives the feeling of them exploring a collapsed building. Plus, the base is simply amazing to paint! 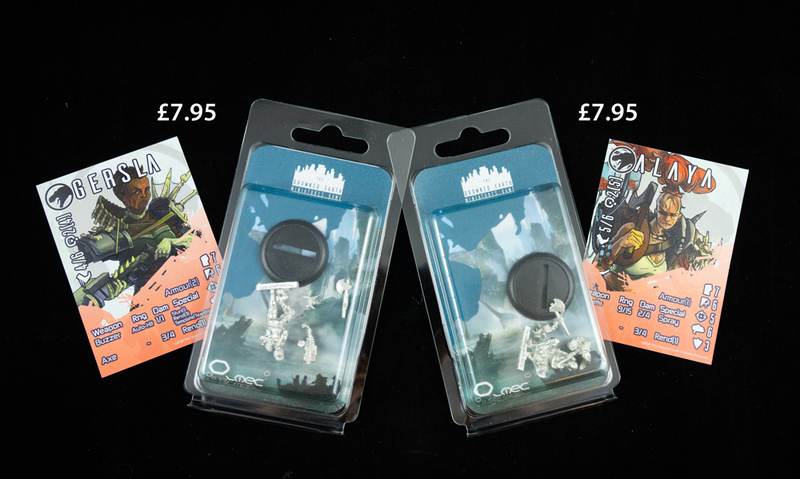 In our heroines box, we also always include some basing bits to customise the base further. Subscribers got a large and small Jerry can to paint and weather up, and position on the base with Gersla and Alaya. A great bonus on May's heroines box is that it actually goes perfectly with the paints in May's Discovery box! In the Discovery box subscribers got concrete paints, ideal for the base, and rust/dust weathering paints, ideal for the Jerry cans. You can buy both these boxes on our store. 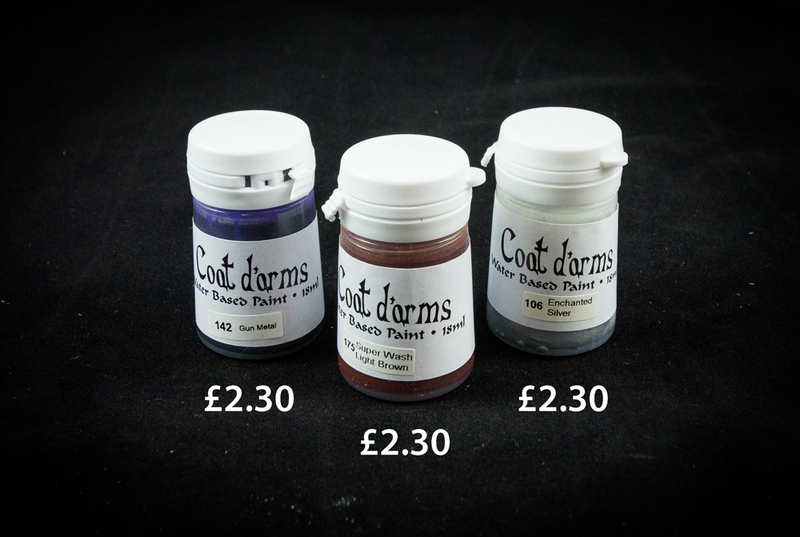 Coat d'Arms Gun Metal, Enchanted Silver and Super Wash Light Brown for painting worn metallic armour. In every Heroines drop we always include some paints to get your started. This month we chose a metallic base and highlight to paint the metal armour that both Gersla and Alaya wear. However, this armour wouldn't be shiny! This is a derelict world, so we paired these metals withSuper Wash Light Brown. This is an orange-brown wash that you can mix with the Gun Metal to create a rusted looking metallic ideal for worn armour. May's Mini Tutorial goes through how to mix the different paints and then how to apply then to the miniatures to get a fantastic worn look for the armour! Places on our Heroines subscription are always limited with only a few opening up each month. Sign up for the latest box, if it's available, by click the link below!